Investigators will hear from familiar witnesses. Will they say anything different? Reconsidering the death at sea of actress Natalie Wood, whether it was in fact an accidental drowning, will give homicide detectives an unenviable job, even with modern crime-fighting tools. "You just have to keep a very open mind," said retired LAPD Homicide Detective Sergio Robleto. Robleto never worked with the Sheriff's Department on the original Wood death investigation. But he knows the basic outline. And he knows how to run an investigation. "Why did they make some of the conclusions they made at that time," wonders Robleto. "Is there another way of looking at it?" One interesting aspect of the case is that everyone who was in a position to know what happened is still alive, except Natalie Wood. That list includes all three of the other people who were present on board the yacht, "Splendour." Wood's husband, Robert Wagner; their guest, actor Christopher Walken; and the boat captain, Dennis Davern, are all available. Davern's revised account is the reason the case was reopened. Davern told "The Today Show" he believes Wagner was responsible for his wife's death. "I think it was a matter of, 'We're not going to look too hard. We're not going to turn on the searchlight, we're not going to notify anybody right at the moment,'" he said on Today. Davern, the author of a book on the Wood death, may be subject to special scrutiny. "I think an important issue is to find out what motivates a person to come forward," says Robleto. There is another possible witness in the case, who claims nobody ever paid enough attention to her account. Marilyn Wayne was on another boat in Avalon harbor, and she told CBS she heard something that might be important. "I heard a woman calling for help," said Wayne. "'Help me somebody, please help me, I'm drowning.'" 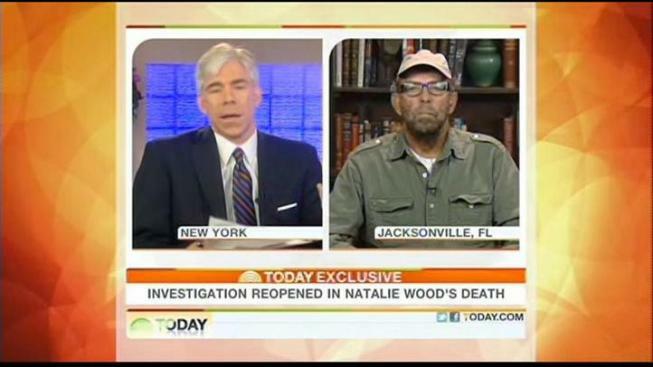 Wood's sister, Lana, told "The Today Show" Monday that she's afraid where the investigation may lead. "I'm so frightened of hearing things that I don't want to hear," she told Today.